Your Chief Marketing Officer, creating your custom path to success. Your inexpensive online program with weekly coaching calls. A 30-minute phone call brings you focus and breakthroughs. Welcome! Just for checking out Yuloff Creative, you have earned a free gift. "When a major league baseball player is asked how to hit a 100 mph breaking ball, he will likely say something like “Keep your eyes open and get ahead of the curve.” The same is true for today’s media as it moves fast and is constantly changing. You need to stay ahead of the curve or you will definitely strike out. Hank and Sharyn are in your coaches box, spitting sunflower seeds and barking out encouragement from the dugout. Social media is dominant today, but you must have an understanding of how to inject your social platforms with steroids. You need the competitive edge. Millions of people have played Little League but few become pro. Are you a major leaguer? You can’t run with the big dogs if you pee like a puppy." 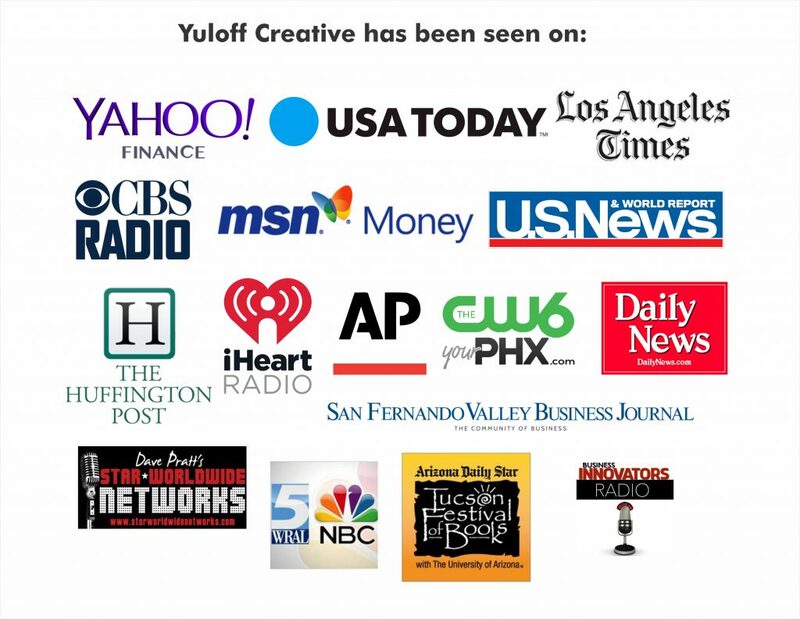 "What I love about Yuloff Creative is that they become an in-house agency (marketing department) for small business owners. I think that’s a brilliant idea. They think as if they are the small business owner’s partner….They are true mentors and coaches that are truly looking out for the best interests of their clients…. Over 30 years together, there’s some wisdom going on here. You gotta check them out. Hank and Sharyn Yuloff, you guys are amazing. I’ll see them in Sedona, you guys should make that contact right now too." Check Out Our Blog For Weekly Marketing Tips!